WOW! $5 Disney film soundtrack! I just saw this in my News Feed on Facebook. This almost never happens for one of the newer Disney films! For a limited time, and in honor of Black History Month, Amazon is offering the soundtrack to Disney’s “The Princess & The Frog” for only $5 !!! This is for the MP3 download version of the soundtrack album. Not sure how long this is good for, so if you want it, go get it! Yes, this is an affiliate link. This is the life! #citywalk, originally uploaded by Erin aka Tink*~*~*. 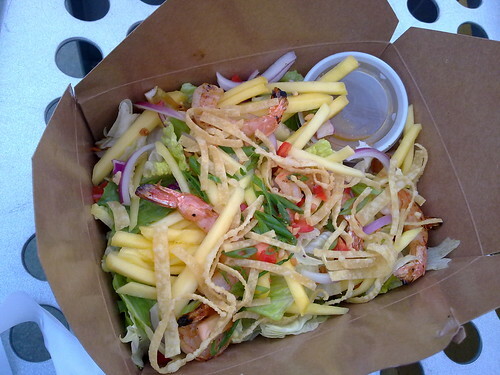 Awesome mango/shrimp salad fro Bubba Gump plus live alternative band on CityWalk = rockin’ good life. This week’s episode of the popular NPR (National Public Radio) show This American Life is rife with references to Disney. Host Ira Glass expounds upon the phenomenon of the “I wish” song, an essential component of Disney musicals. The “I wish” song tells us who the character is and what s/he wants, and frequently also sets up the conflict that is somehow resolved during the “happily ever after” ending of the story. 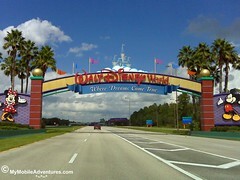 Examples cited are “I’m Wishing” from Snow White, “Part Of Your World” from The Little Mermaid and songs from a few other non-Disney stories such as “Somewhere Over The Rainbow” from The Wizard of Oz. 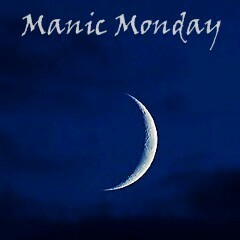 Hey, so the theme for this week’s MANIC MONDAY is “Shopping”. I am SO down with that! I thought it would be fun to show you a few items from my Amazon wish list. I’ve been fiddling around with Amazon Associates widgets and plugins and stuff for the last couple of days and I could not get a lot of cooperation out of them (translation: I have a lot to learn about Word Press! ), so I’m leaning toward just picture links to stuff that’s on my list. And, in the interest of complete disclosure – yes, if you click one of these links and buy something from Amazon, my account will probably be credited with a whopping thirty cents 🙂 – however, they probably won’t mail me a check for thirty cents, and they’ll make me wait until I have fifty bucks or something. So that means something like 166.6666667 people have to click and buy before I make my fortune on Amazon Associates. Since that’s not likely to happen, I think I’ll keep my day job. On with my Wish List! Here’s what I would have Santa bring me, if only I was a good girl…. David Cook – I have to confess, I downloaded and listened to this self-titled album already, but not from Amazon! I pre-ordered it from iTunes and then I got an email letting me know when it was available for download. I do want to mention that when you download from Amazon instead of buying the CD, it is a bit cheaper, by around $3 plus whatever your shipping charges are. Anyway – I loved this guy on American Idol last year, and was really pulling for him to win, so naturally I could not wait to listen to his first album. I wanted to be sure that he’s not just a really good cover artist. On his debut album, David Cook performs 14 songs and maybe 5 of them are standouts. David had a hand in writing most of them. My favorite by far is a tune called “Bar-Ba-Sol”. After the 5 or so standouts, the rest of the songs just sound like each other. The album is a little bombastic, and David needs to understand that less is more when it comes to rock screaming – take it down the octave more often, dude. It’s more interesting that way, and your throat will thank you! Canon SX110IS – OK, so you know that I already have this, too. Gee, I think I should probably make some time to edit my Amazon Wish List a little! Anyhow, I’m very excited to finally have a camera that has more than 4x optical zoom – this one has a whopping 10x. Now yeah, there are cameras out there that have more optical zoom that that, but they were not within the price range I wanted to spend. Ten is good! My old Powershot G5 served me well all these years, but it was time to move on, optical zoom-wise. Can’t wait to start messing with this! You can be sure that I won’t be making the same mistake I made with the G5 – the SX110IS will have a screen protector adhered to it before I even put the batteries in it. Nope, I have not succumbed to the charms of the Kindle yet – although I do own a number of e-books in PDF format, I still like to touch my books and turn the pages and look at them on my shelves. However, if I were still commuting on mass transit for a couple of hours each day, I would definitely be sporting one of these. So much lighter and easier to carry than books, and that’s not even the half of it – you can read newspapers, magazines and even your favorite blogs with the Kindle. The Last Lecture, by Randy Pausch – The author is a former Disney Imagineer who died earlier this year. 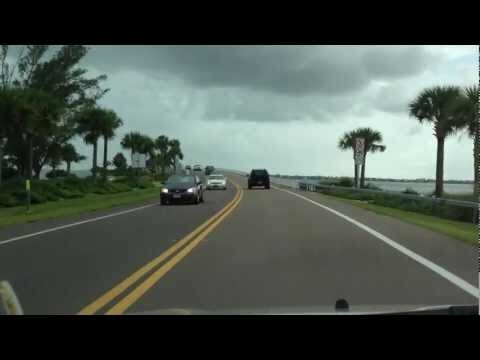 When he found out he was going to die, he hit the road with this, his “last lecture”, which is all about how to remove the obstacles that prevent us from reaching our childhood dreams. He delivered part of this lecture on Oprah‘s show, which I was fortunate enough to stumble upon while flipping channels one day. You can probably find snippets of Randy Pausch delivering “The Last Lecture” on You Tube. It’s remarkable to me that, upon being told he was dying, this man had the presence of mind to develop a lecture that imparts the wisdom he’d collected during his relatively short life (when he was on Oprah, I was struck by how young and strong he looked – he did some one handed push-ups, even!). I’ve very much looking forward to delving into this book. The 4-Hour Work Week, by Timothy Ferris – Do I have to tell you why I want to read this book? Look at the cover – it has PALM TREES on it, for cryin’ out loud! I know that I am already a very fortunate woman. I get to work from home, and home is in paradise. I realize that makes me really, REALLY lucky. Now, I want more. I want to work as little as possible, but still have the same amount of money. I’m not greedy. I’m not going to say I want MORE than I have now. I don’t really NEED more. What I have now is just fine. Now, if only I could get that for 4 hours a week! When someone asks me, “What do you do?”, I want to be able to reply, “I’m a slacker!” Hopefully, reading this book will teach me how to achieve such a lofty goal. Harry Potter years 1-5 – I hesitate to add this, because you just know when the rest of the story comes out on DVD, something perhaps cooler in the way of “special edition” packaging will emerge, and then I’ll be kicking myself for getting years 1-5. But I kinda like the idea of the trunk. Whenever Harry comes home to those horrible, beastly Dursleys for the summer, the trunk and its contents are his link to Hogwarts and his true world. I hope it’s not cheap and flimsy – that would be awful, and I’d send it right back, I would! Hopefully, it’s nice. Now, notice I’m not picking the Blu-ray version. I don’t have Blu-ray, and I’m really not in the mood to race right out and put a Blu-ray device on my Wish List. But I do have an HD television, so I did select the HD version. Is there anyone else who can hardly wait until July when the Half-Blood Prince comes out in theaters? Me too! Well, there you have it – a smattering of my Amazon Wish List. I will need to hit Amazon and other online shopping sites today to do the last of my Christmas shopping for the family. I think I’m going to get some gift cards for my nieces so they can download whatever songs they want for their iPods. I discovered that you don’t have to actually order a physical card – you can have an email sent to you with a code on it that they can use to make the purchases online. Yes, I’m going to do my part to stimulate the economy. Happy Cyber Monday, everyone!